Hanoi (VNA) - Nearly 140 samples of seafood, vegetables and water in the four central coastal provinces which suffered mass fish deaths are determined to be safe and within the prescribed level. This is according to a report by the Food Safety Department under the Ministry of Health. 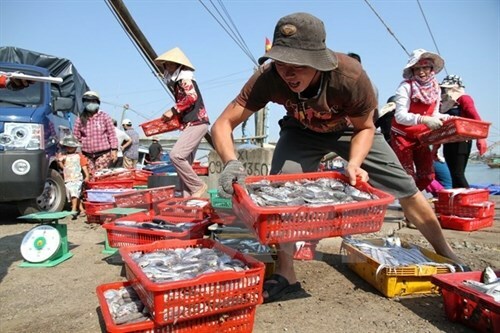 The department, in co-ordination with the National Food Safety and Hygiene Testing Institute, sent inspection teams to the four provinces of Ha Tinh, Quang Binh, Quang Tri and Thua Thien-Hue to take samples of seafood, vegetables and water for quality inspection. Test results showed 97 samples of fresh seafood were safe. The vegetable and water samples were also within the permitted level. Nguyen Hung Long, deputy director of the Food Safety Department, said most seafood samples sent for testing were caught offshore. The department took samples of seafood twice per day and sent them to the institute to determine toxin levels, Long said. The test results are announced the following day to inform the public whether the food is safe. The government and the relevant ministries will also be informed of the results. The mass fish deaths reported in central Vietnam since the beginning of April led to exploitation and damage to the economy, environment, farming and production, as well as to trading seafood activities, causing worries for the people.